A School on the move. Our teachers, administrators, and staff are working extremely hard to ensure we are doing what is best for students to achieve and grow academically, socially and emotionally. The goal of our entire staff is to establish personal and meaningful relationships with students and parents, in order to provide the needed supports for all students to succeed. In addition, we will be adding a Digital Literacy and a Technology Coding class to our related arts rotation. There are many other exciting programs and relationship-building opportunities that we will share as the school year progresses. I look forward to working with you all in obtaining local, state, and national recognition for Madison Middle School, "A School on the Move," in academic growth and achievement! 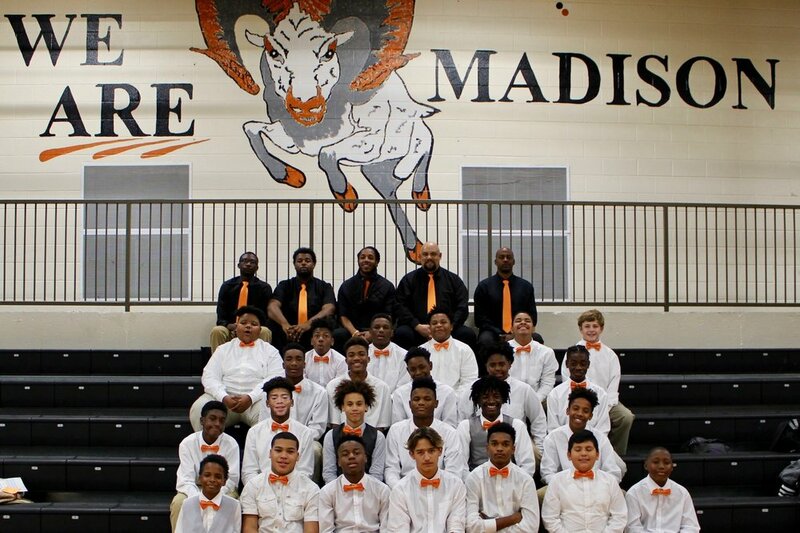 Madison Middle School provides a safe and secure learning environment for students to explore cutting-edge learning programs that support academic growth as well as social emotional learning. Our team of dedicated, hardworking and experienced educators takes advantage of our extended learning day to lead our students through rigorous and engaging instruction, including STEM, Advanced Placement and other classes for high-school credit. In addition, students have the opportunity to participate in a club of their choice every other week. Students grow leadership skills by participating in a Student Advisory Counsel. Opportunities for field trips and awards for good citizenship, attendance and academics encourage our students and let them know we appreciate and see who they are inside and out. Extracurricular activities abound at Madison Middle School. Perhaps our most well-known and high-achieving program is the choir, which often performs at high-profile events within the community, including the 100th anniversary of the Nashville Public Library’s North Branch. Our dedicated and supportive staff and faculty value the diversity of our student population. Through social emotional learning, we teach and model how diversity is a strength upon which our nation was founded, and when valued, diversity enables the type of broad thinking that can strengthen our nation. Our motto, “Every Grown-up, Every Child, Every Day,” identifies the focus of our building. We want all people who enter our doors to realize they are important to us and that we will listen. Please view the MMP Dress Code Policy.